The latest insights for government contracting success, GSA Schedule assistance, & IT Manufacturer support. Can I Sell to the Federal Government Without a GSA Schedule? The short answer to this question? 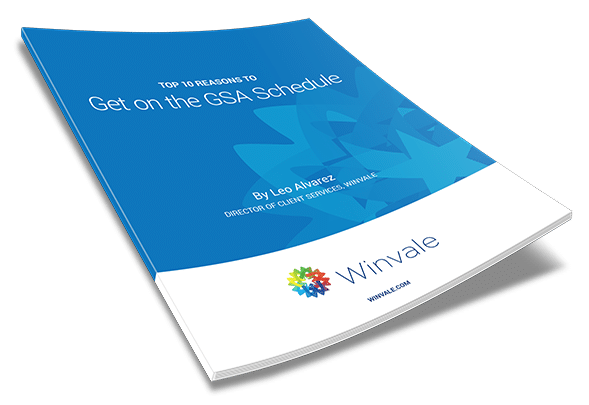 Yes, you’re able to sell to the Federal Government without being a GSA Schedule holder, but this doesn’t necessarily mean that you should due to a multitude of reasons. Do you know what the real benefits of being on the GSA Schedule are? Learn the top 10 reasons (and advantages) why you should consider it. Every business has its own standard commercial sales practices that ensure the company remains competitive and successful within the marketplace. Many businesses have these successful commercial sales practices but do not track them in a way that easily translates to GSA’s requirements. Having a strong record of your commercial sales practices is a vital part of obtaining and maintaining a GSA Schedule. For companies considering entering the federal marketplace through the GSA Schedules Program, it is smart to start understanding the commercial sales practice disclosure requirements from the early stages. Good news for General Services Administration (GSA) Schedule contract holders, as spending within the Multiple Awards Schedule (MAS) has reached new heights. It has been reported that in Fiscal Year 2018, spending on goods and services through the GSA MAS program grew to a record high of $33.1 billion. This is the highest spending level for GSA’s MAS program since Fiscal Year 2015, and with spending consistently averaging around $33 billion per year from 2015 to 2018, things are looking up. “If You Build it, They Will Come” Having your GSA Multiple Award Schedule Contract awarded can seem like the light at the end of a lengthy tunnel, but it’s not the end of the journey. Once awarded your contract, the real work has only just begun. The payoff for becoming a successful GSA MAS contractor can be huge, but only if the right steps are taken from post-award day 1. The Professional Services Schedule (PSS) is one of the top General Services Administration Multiple Award Schedule (MAS) Contracts. With so many opportunities, potential contractors may have some questions before submitting their proposal. We’ve compiled 5 Frequently Asked Questions to help dispel some confusion surrounding this contract!